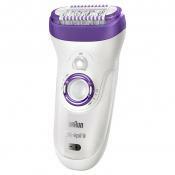 The Braun Face epilator is very small and lightweight. 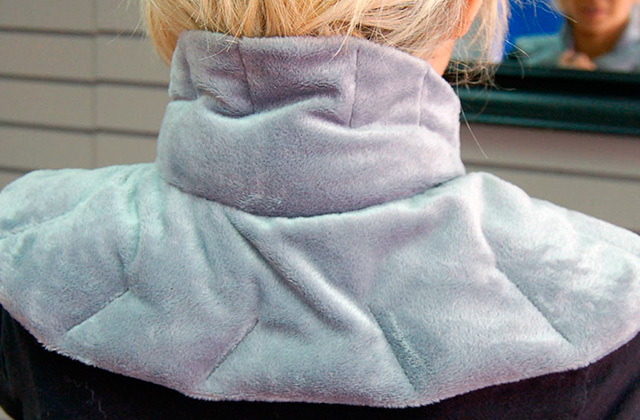 It also has a protective cap, so you can take it along on your trips. 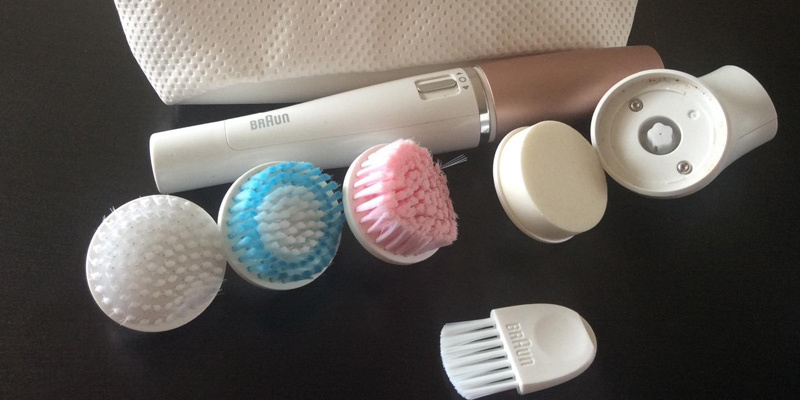 In addition, there is a normal brush, an extra sensitive brush, an exfoliation brush, and a beauty sponge bundled. It may pull out not all hairs in the contact area on the first try. 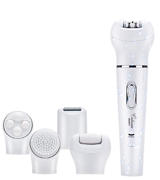 The manufacturer combined a set of cleansing brushes and an epilator into one compact device. This solution gives you an opportunity to save your time and money and do several using a single device. Busy people will really appreciate it. 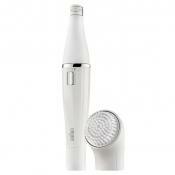 In addition, this appliance is great for sensitive and delicate skin. The manufacturer farsightedly included the battery in the set. Owing to that, you will have no need to spend extra money and time on buying the battery. 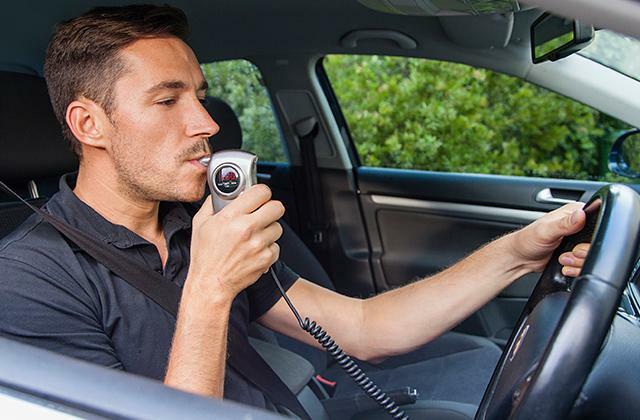 The device performs its task pretty well even if you have really coarse hairs on your chin, upper lip, or neck. It is more effective on the small areas. The EP1050CDN model performs exactly as advertised: removes the hair from the face. So, if you do not need anything extra, you can confidently purchase this model. It will become your helpful assistant anywhere. This is a truly reliable product for reasonable price. The set includes a trimmer head with a built-in Bikini trimmer, an Exfoliation brush that carefully removes an upper skin layer. It also has a Face massager that stimulates the blood circulation and a Callus remover that will make your heels baby soft. The charging is rather long. 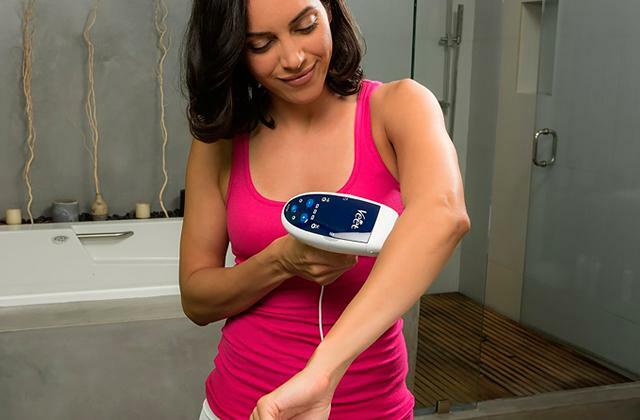 With such a tool as the Codream 5-in-1 epilator, most careful hair removal is guaranteed. 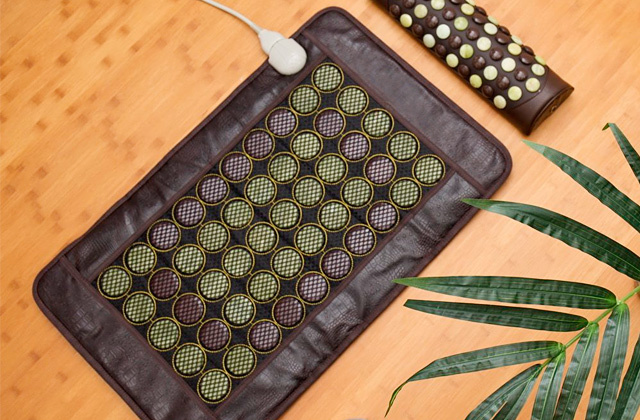 It combines the functionality of several devices and comes in a completely waterproof body so you can use it dry and wet. 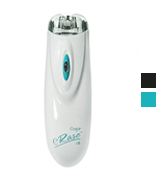 The Emjoi Tweeze eRase e6 is a classic epilator hat is capable of gently removing hair from any area of your body. It is cordless, which brings an obvious advantage. Thanks to the 3 disc system (international patent), your skin will be hair free for a long time after a single use. The battery is not included in the supply package. If you need a reliable and simple epilator for home use, the eRase e6 will be a perfect option for you. This model is a real find for those looking for a quality epilator without any irrelevant features. The e6 will detect and unroot hair automatically, so you do not have to put a great effort. The Braun Corporation is known all over the world for its quality products. The company has been in the product development since its foundation and always been doing its best to meet the needs of its loyal customers. 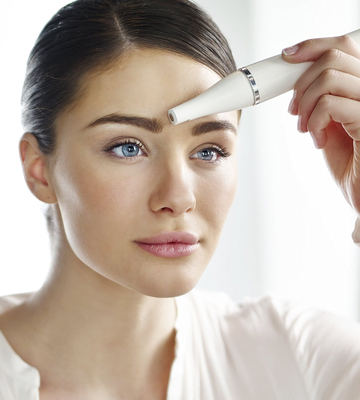 Recently the company released the Braun Face 851, a unique mini facial electric hair removal device for women. What is distinctive about this model is that it solves a few problems at once. Not only is it used to remove unwanted facial hairs, it also makes use of four cleansing brushes that come included with a purchase, allowing you to achieve excellent results in the privacy of your home. What you can also benefit from is its waterproof design. It can be safely rinsed with water and used in the shower without risks of damage. 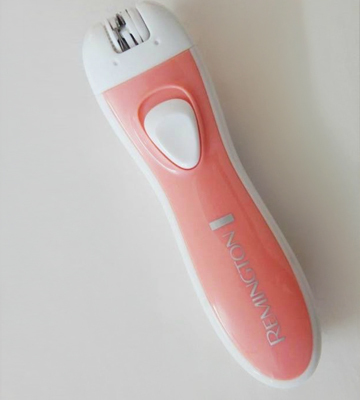 However, the real value of this epilator is that it's suitable for sensitive skin. 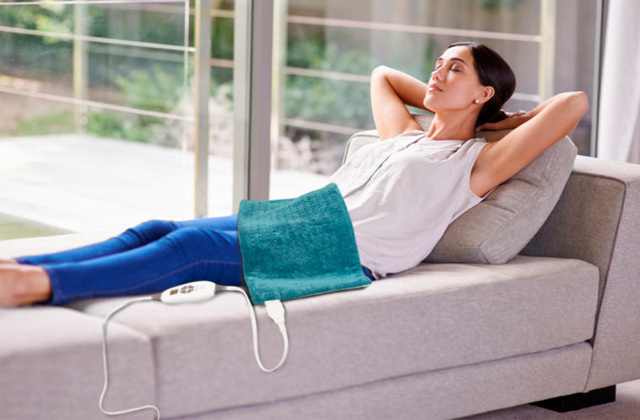 Thanks to the extra sensitive brush and the epilation system featuring 10 micro openings, you can use it even on sensitive areas with no pain or discomfort. So, if you need a high-quality epilator that can be used for dry and wet epilation without any issues, the Braun 851 can be a perfect deal. Gentle, efficient, and ergonomic, it will bring your body care to a completely new level and you will be able to really enjoy it at last. The Emjoi Epi Slim epilator is a convenient little device that is perfectly suitable for removing unwanted hairs from various body parts. 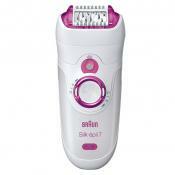 This epilator features a special patented operation structure. 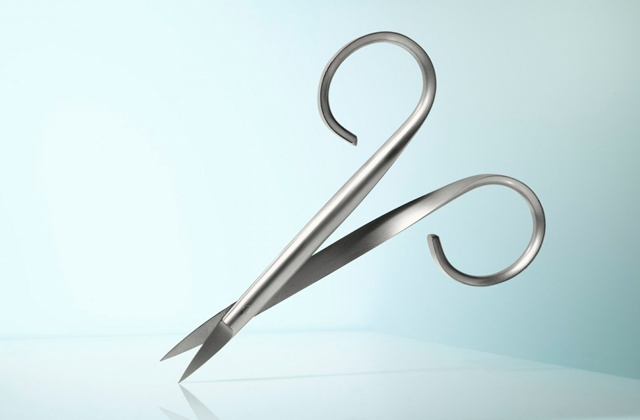 The process becomes effective and quick thanks to the 18 tweezers that come in a patented 3-disc system. It includes one fixed disk and two mobile ones that open and close and remove short hairs (up to 0.01 inch long) from the root. In addition to this, the erase and skin glide technology will reduce unpleasant experiences during the epilation process. The skin is slightly lifted up and, only after that, all the unwanted hairs will be removed gently and carefully, without any irritations and redness. With only one stroke, you will be left with silky smooth skin, and the slightly painful sensations will be barely noticeable. Its elongated and convenient shape is perfectly suitable for hair gripping, that’s why even the finest hairs don’t stand a chance. This conveniently shaped model fits quite well in your hand, so the epilation process becomes more comfortable. Plus, a leopard print makes this device pretty appealing. 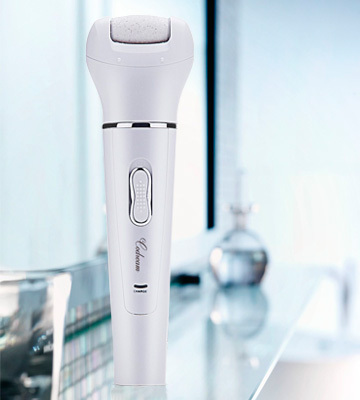 Those who love bright and stylish gadgets will like the Remington EP1050CDN epilator. Extremely compact, lightweight and with white and pink body, it will appeal to those girls who wish to stand out from the crowd. Though not all women take an epilator with them on trips, with the Remington EP1050CDN epilator that is possible. It has small dimensions, comes with a protective cap, and includes a special beauty pouch for safe transportation and storage. Design and portability aside, this epilator is also great for performance. 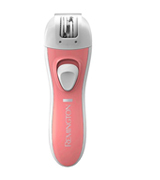 It uses 6 automatic tweezers that allow it to remove hairs quickly enough to minimize unpleasant feelings. That said, we would not recommend applying it on rather large skin areas because, while being good for face, it might be less convenient and comfortable to use it on legs, for example, due to a smaller number of tweezers and the fact that it's cordless. One other thing to mention is that Remington EP1050CDN is cordless and runs off a standard AAA battery, which comes in the set and allows its use out-of-the-box. So, if you loves things beautiful and are looking for an epilator you could use even on the go, if such a need ever arises, the Remington EP1050CDN is a good one to consider. If you're looking for a multi-purpose epilator to get rid of unwanted facial and body hair with minimum discomfort, we'd recommend you the Codream CD-0717 epilator. This model combines functionality of 5 different tools and allows you to achieve flawless skin smoothness without unpleasant sensations. 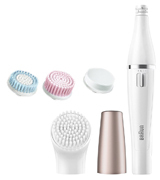 The package, along with the epilator itself, includes a few additional brushes: a bikini trimmer, exfoliation brush, face cleansing brush, face massager and a callus remover. A bikini trimmer makes it easy to get rid of hair in hard-to-reach zones. An exfoliation brush is used to remove dead layer of the skin so it feels perfectly clean and smooth. A facial brush helps clean the skin by removing from it dirt and oils while a massager helps stimulate blood circulation, which not only improves complexion but also helps fight wrinkles. And to keep your feet well-groomed, you have a callus remover. Apart from a generous set of attachments we also like that the Codream CD-0717 is waterproof, making it possible to use it in the shower. It comes with rechargeable batteries, which gives it appeal given they do not need replacement as often as disposable ones. The only gripe is that charging the epilator takes quite long, so it is best to recharge it in advance, not immediately before use. To sum up, the Codream CD-0717 is the favourite of many women for a good reason. It's multi-purpose, comes with a generous set of additional attachments, and provides impressively good results. Not only can it be used for facial hair, you can also use it on other body parts thanks to a great range of trimmers and brushes included. It will help you remove unwanted without causing irritation or ingrown hairs. 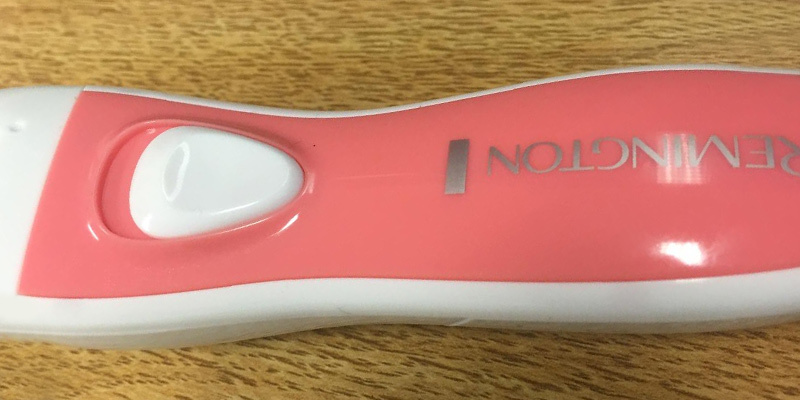 The Emjoy eRase e6 Facial Hair Remover is an effective device that will help you get rid of tiny hairs even on the most sensitive parts of the skin. Using the eRase Glide Technology, the epilator smoothly glides over the skin back and forth or in circles - depending on how you move it - making your skin silky, smooth and soft. Though the Emjoy eRase e6 has a tweezer system, it doesn't tend to cause scratching, irritation or pulling like many similar models do. 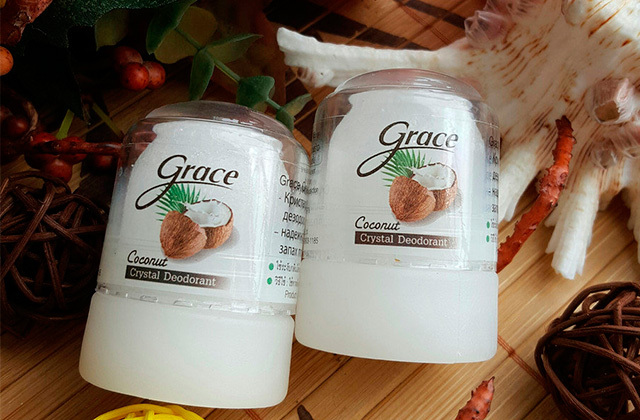 This allows using it not only on face but also on such delicate areas as your armpits and bikini. The Emjoy eRase e6 Facial Hair Remover has 6 tweezers in the system which cut hair from the root and do so with great precision. In case you ever press the epilator too hard to your skin, its safety feature will switch it off immediately so you cannot injure yourself. 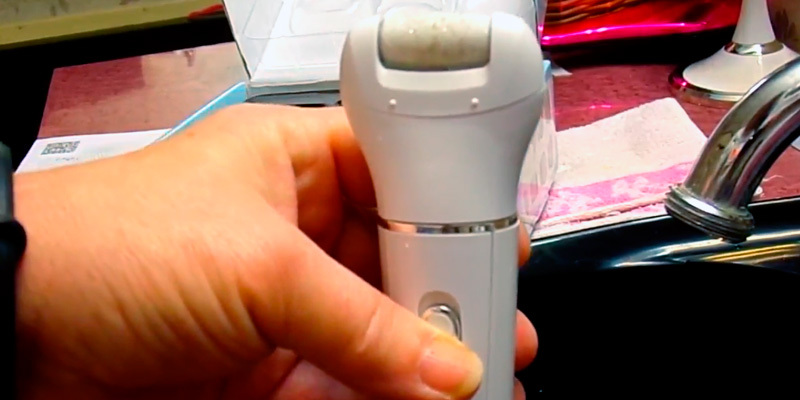 Of course, we find it very unlikely that you can actually get hurt using a cordless epilator, but it's still nice to know that this feature is present. 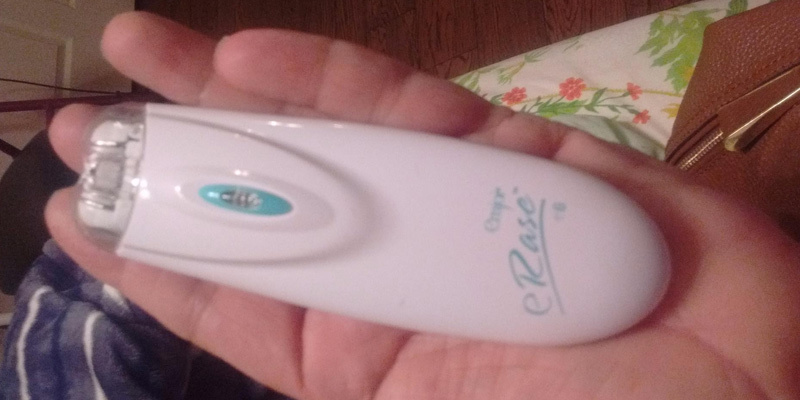 To conclude, the Emjoy eRase e6 is a good option for those who want a portable facial epilator that will not cost an arm and a leg, will be comfortable and painless to use, and provide long-lasting smoothness of the skin. For such a small thing, the Emjoy eRase e6 really offers more than expected. People have put much effort to reduce the unwanted hair on the face for ages. Indeed, removing the unwanted hair is a problem that traces back to the ancient times. Even our ancestors who lived in caves are known to shave their faces. Over the time people have invented and improved different mixtures, masks, and means to epilate the face and body more conveniently. Nowadays, professionals offer a lot of methods to get rid of the unwanted hair, especially on the face. 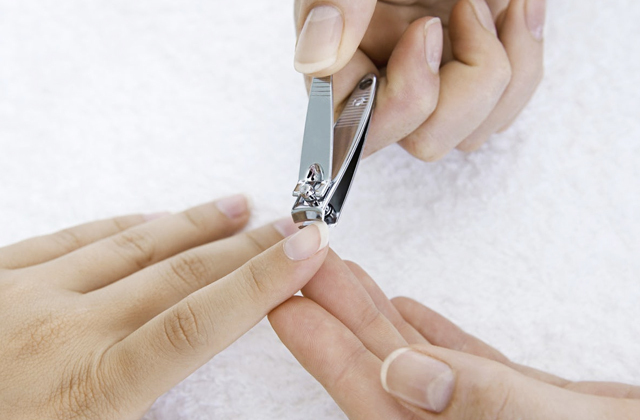 You can choose to visit a salon regularly and perform this procedure, though it may cost you a lot. Or you can choose to epilate your face at home. In this case, you will need a special facial epilator. 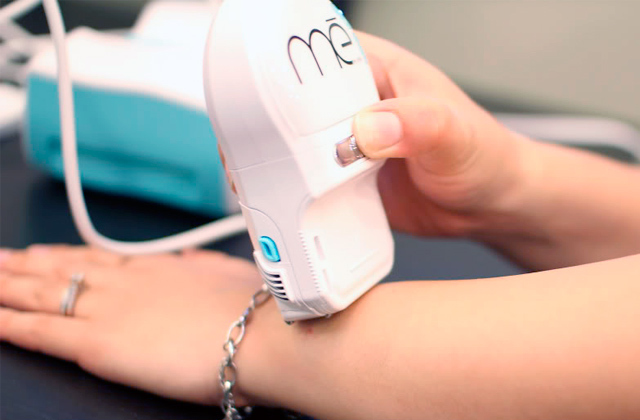 This device can remove all the unwanted hair and make the skin perfectly smooth almost effortlessly. 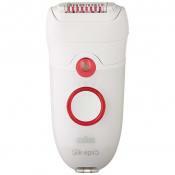 All you need is to follow the instructions shipped with the face epilator. Having this appliance at home is very convenient if you have a tight schedule or need to get yourself epilated quickly. In addition, using an epilating device at home will save you a lot of time and money, which is a big advantage. If you are going to a party and want to have a striking look, then you will probably need a hair dryer with a diffuser. It will help you do hair with no efforts and get marvelous curls.